Tesla opens patents to public: What is Elon Musk thinking? Tesla Is Opening Its Patents to All. That’s Not as Crazy as It Sounds. 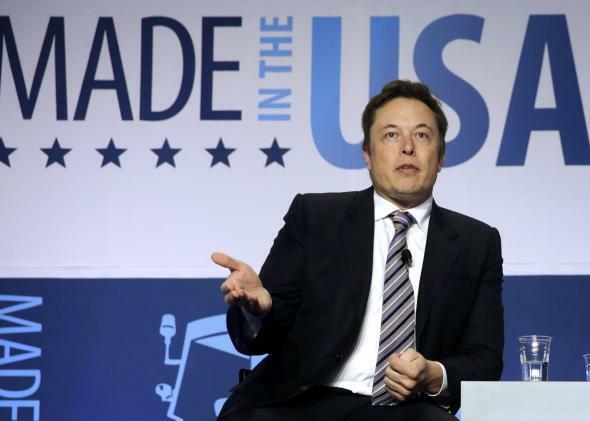 For Elon Musk, rival electric-car makers aren’t the enemy. Gas stations are. In short, Tesla is opening up its patents to competitors. Like so many of Musk’s ideas, it sounds crazy but might just be brilliant. Tesla, Musk explains, was founded with the goal of taking electric cars mainstream. At the outset, it filed patents like any other company, because it was worried that bigger automakers would simply copy its technology and drive it out of business. Instead, with a few exceptions, major automakers have continued to ignore alternatives to gasoline-powered engines. And Musk has decided that’s even worse. Tesla is already collaborating with several automakers, including Mercedes-Benz, on their electric-car efforts. But it has apparently decided that sharing its technology with the world will advance the field faster than a series of bilateral partnerships with established car companies. Just last night, the Mercury News’ Dana Hull notes, Tesla entertained a team from BMW to talk about its Supercharger battery-charging technology. This might seem like a rash move for a company that still faces big hurdles on its path to long-term, mainstream success. It certainly stands in stark contrast to the approach of tech companies like Apple, which are suing their rivals all over the world for infringing on patents like the one it holds for rounded corners. Some will hail Musk as a hero, while others might dismiss him as a naïve idealist when he says that his ultimate goal is fighting climate change. But Musk isn’t naive, and Tesla isn’t a charity. Rather, he knows that Tesla’s real battle isn’t with other automakers for leadership of today’s niche market for electric cars. It’s the much greater struggle between electric cars and their gas-powered counterparts. Viewed in that context, the obstacles to Tesla’s success aren’t the Nissan Leaf and the BMW i3—they’re the constraints of technology, cost, infrastructure, and customer expectations. The more money is put into electric batteries, the cheaper and more powerful they’ll become. The more electric cars there are on the road, the greater will be the demand for regional and national networks of electric charging stations. And guess what company will stand to benefit the most. Best of all, if Musk’s gambit works, it could pave the way for forward-thinking CEOs in other fields to take similar steps. His full blog post is here. Tesla Built the World’s Best Electric Car. Now Comes the Hard Part. How Green Is a Tesla, Really?